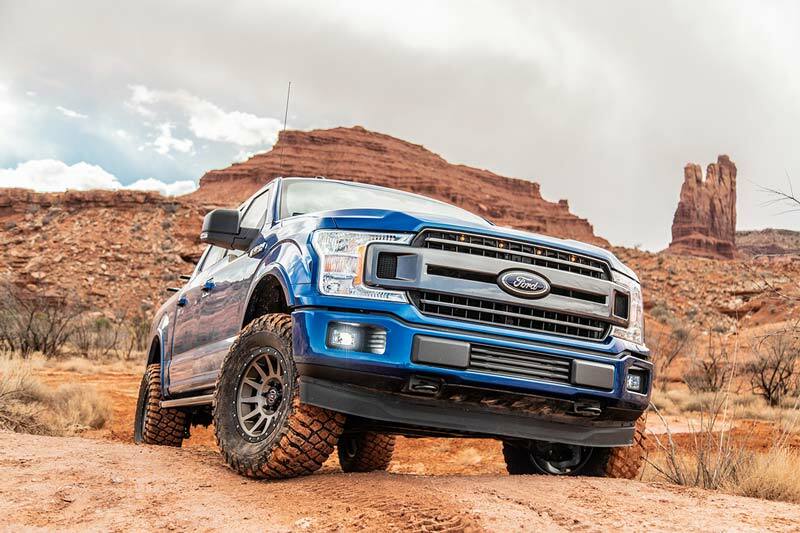 4WD F150s Only: this version of the 6112 Suspension Kit only fits 4WD F150s and will not fit 2WD/RWD F150s. 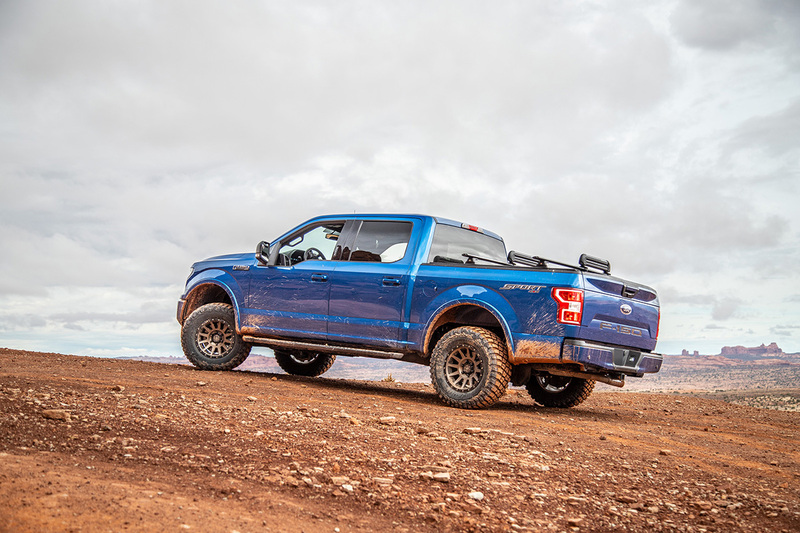 A version for 2WD/RWD F150s is also available. Purchased this setup to go along with my 5100 rears. My ultimate goal was to make the truck more planted, less bouncy, and level it out to the rear. I set the coilover assembly at .5 and used a 2 Rough Country spacer ontop for a total of 2.5 of lift. 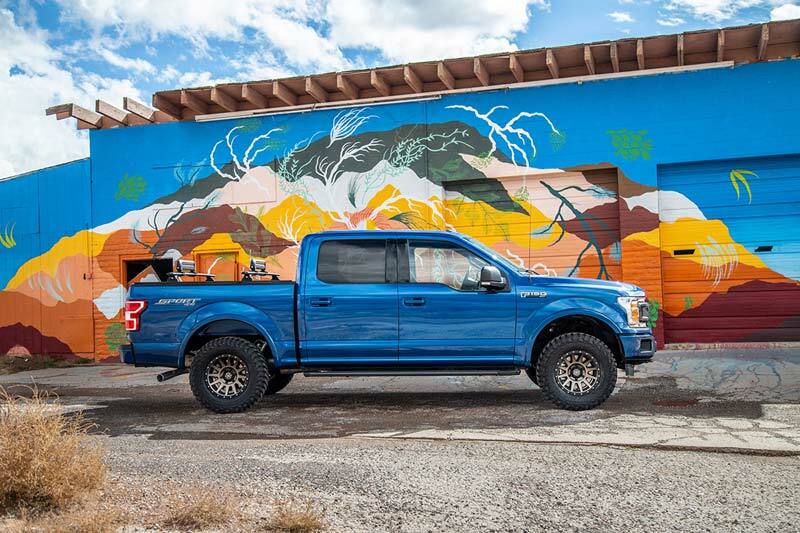 The truck is a 2016 F150 4X4 3.5L Supercrew which now sits dead level. The ride, at first, was very stiff and over bumps/dips would cause some rattles inside the cab. After 50-100 miles the ride has settled and became firm, but not stiff. The truck is now very planted and rides great on road without the floaty factory ride. The install time was about 2 hours per side on the floor with standard tools, an impact, and spring compressors. Impact is an optional tool that isnt needed but did make some things much easier. Spring Compressors are a must to disassemble the factory strut and transfer over the factory top hat. Removing the upper balljoint, tie rod, swaybar, and axle nut is all thats needed to remove the factory strut. If you had spacers ontop of the factory strut like I did, you will also need to loosen the LCA bolts to give you more room. Overall, the install was well worth it for the HUGE improvement in ride quality on road along with the added performance offroad. 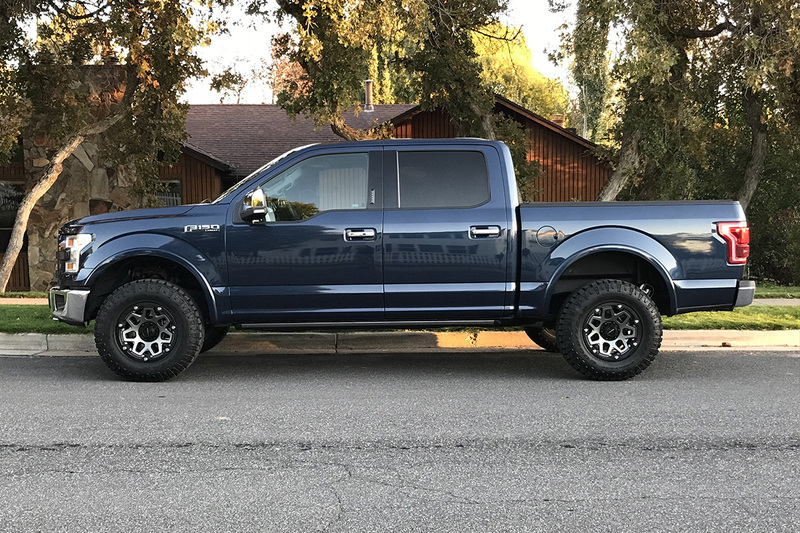 Have a 2016 F150 Reg. Cab 6.5 Box. 6400 hundred lb payload package, rear locker, and 5.0 engine. 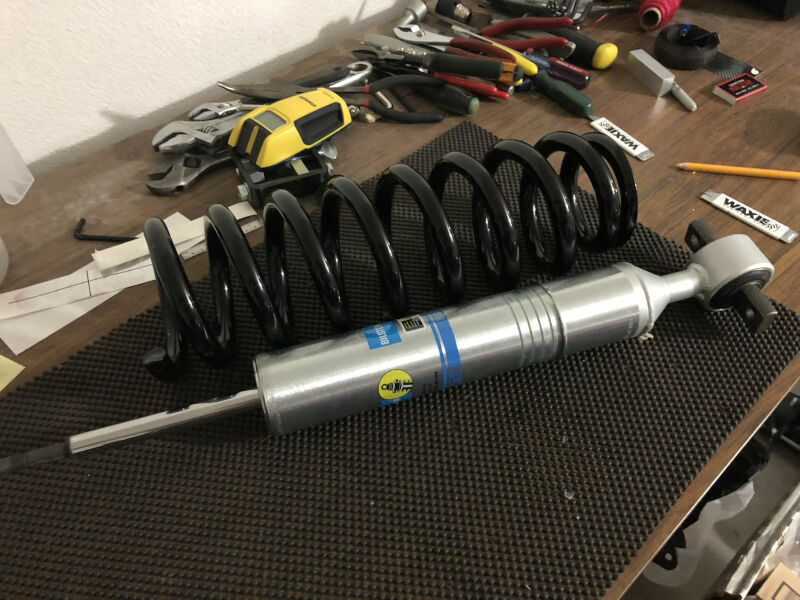 Lighter in weight then other models,but was going for just a 1 inch lift with better shocks and springs then factory. But, got 1.75 inch of lift on the 1 inch setting. Was not not wanting to put the CV axle shafts at to much of an angle. I would say that a lot of after market items are not tested on different types of vehicles. So, I believe you are not going to get an answer from some about question you might have. For instance, I called Bilstein, and, no own ever called back. Was going to ask them questions about their product on this model truck I have and if the clip setting were true to the advertised height settings? The front of truck doesn't bottom out anymore on small dips,etc, but it did give it a much firmer ride. (Which I can live with!) No more front end body roll in corners. I also put there remote 5160 shocks on the rear. Took out the stock 1.5 inch block and installed a 2 inch tappered block to give the truck a little bit of rake. Haul an ATV and pull a trailer (4800 lb approx). I am sure the truck will handle better while hauling or pulling the trailer or both now. 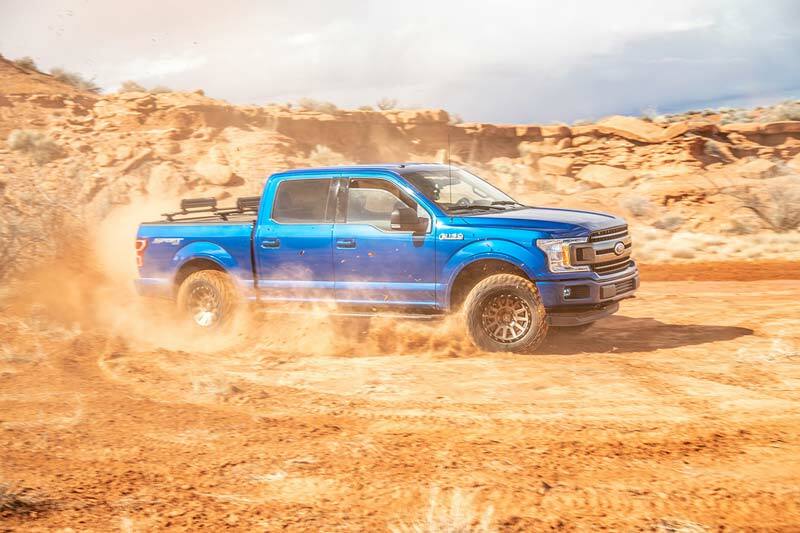 The suspension also handles the wash-board gravel roads better then before. I only give 3 stars, because of Bilstein not calling me back, and the advertised clip settings being incorrect. Minor, but important in some ways. Installed with Zone 4 inch lift. Fit and finish is good. 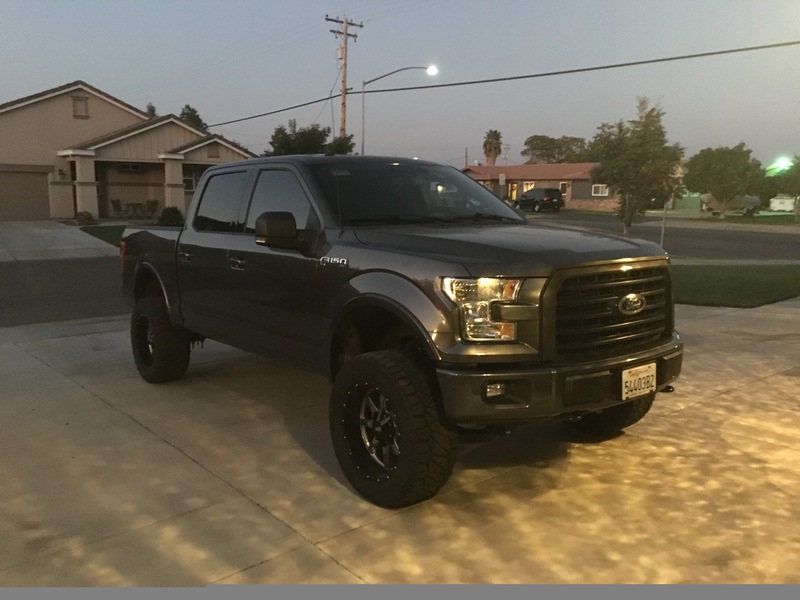 The ride and handling improvements have made my truck a pleasure to drive. 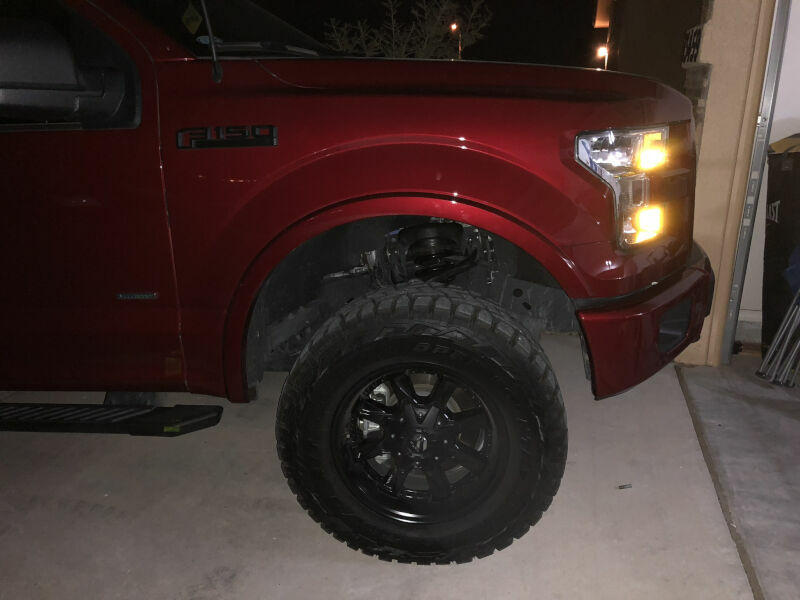 I was regretting my F150 because of the way it handled from the factory. With the B8's in the front and the Fox 2.0's in the rear, the truck handles the way I think it should have from the factory. I installed the 6112’s with the 5160’s. I set the 6112’s at 1.75 and the truck still has about 1/2” take. The ride of the springs/shocks is unbelievably better than stock. I’ve had 5100’s ride height shock and rear 5100’s on a ‘12 Dodge... the 6112/5160 is the setup to use. Install was straightforward, but challenging when it came to seating the coils. The ride is great, and scrubbing when backing up in reverse is almost non-existent now. Got these along with 5160 rears and Tuff Country UCAs. Total install time for myself and a buddy was 4 hours including setup and clean up. 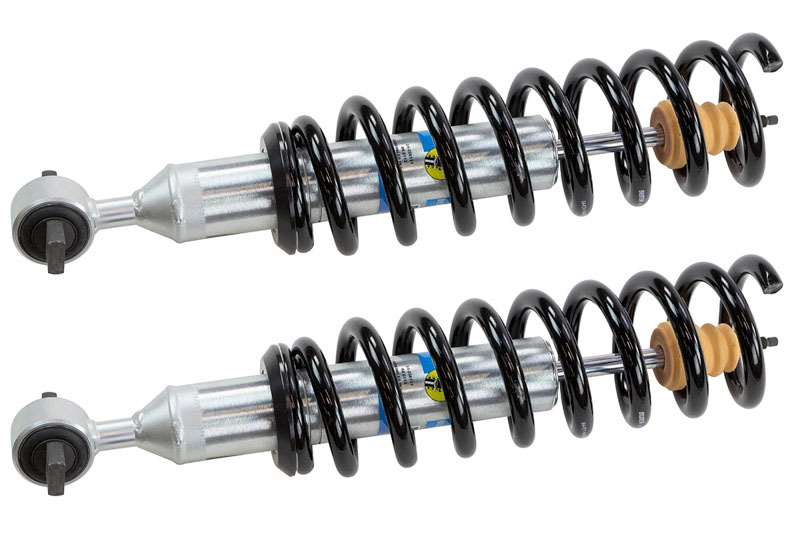 Ride is phenomenally better than my stock shocks with 2 spacer. Firmed everything up on the street, makes unimproved fire roads buttery smooth at 20-40mph for me. Can't beat this Cost/Performance ratio. Trying to decide between these and The Eibach set up with coils. Any idea how much lift the Bilsteins would add? 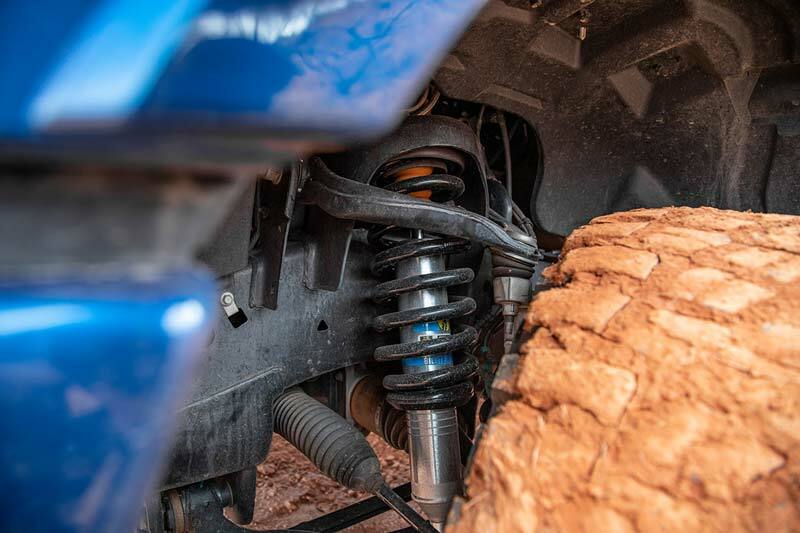 The Bilstein 6112s add 2" of front ride height. 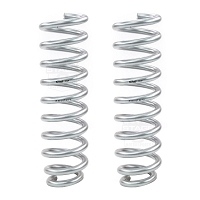 The Eibachs add 2" of ride height on their own, or 2.7" of ride height if you also use their Pro-Lift Spring Kit. 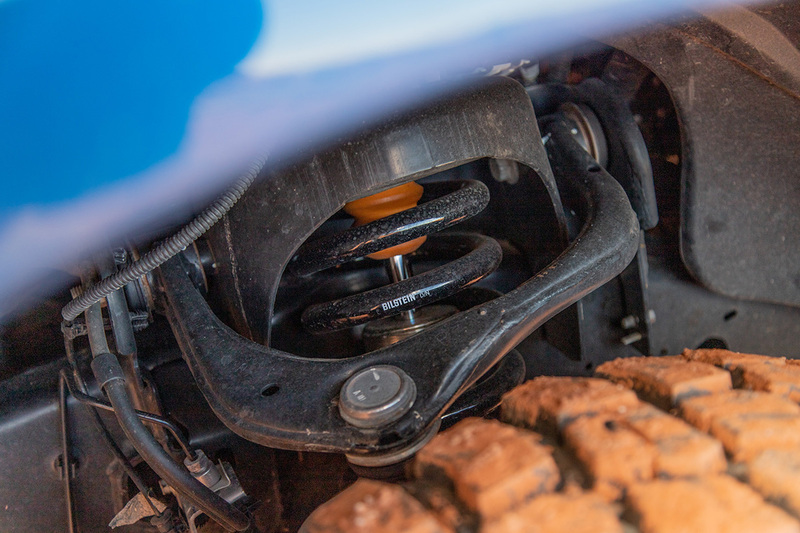 However, the Bilstein 6112s do have a larger shock body, and would provide improved off-road capability over the Eibachs in theory. What spring rate does this kit come with? Also, is it possible to get a different spring rate? 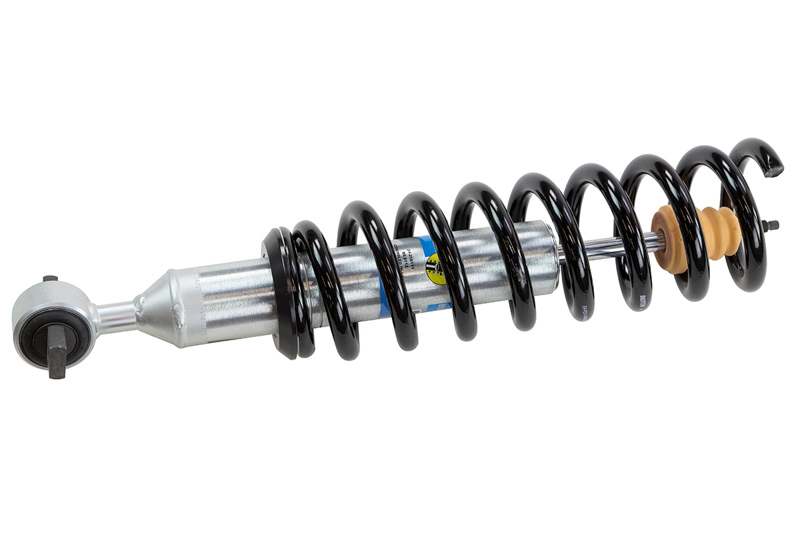 The spring rate on the included spring is 500in-lbs. 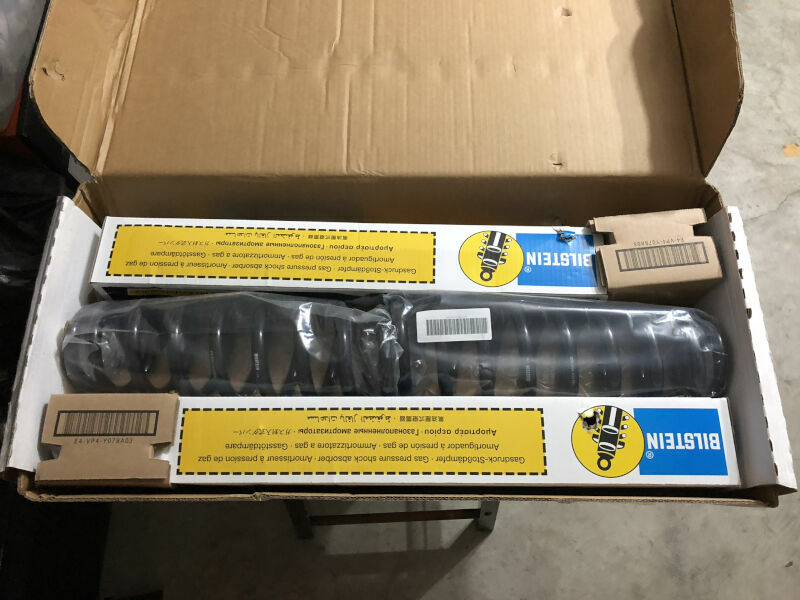 Unfortunately, Bilstein does not offer out-of-the-box spring rate options at this time. Is the price for a set? Do they come with top hats? This price is for a pair of coilover assemblies. The do not come with upper mounts. You'll have to transfer your stock mounts over to the coilover assemblies. How much spring settling could one expect from this set up? If that is even a legitimate concern; would one be better off with the Boss coilovers, or adding a spacer after the coils settle? 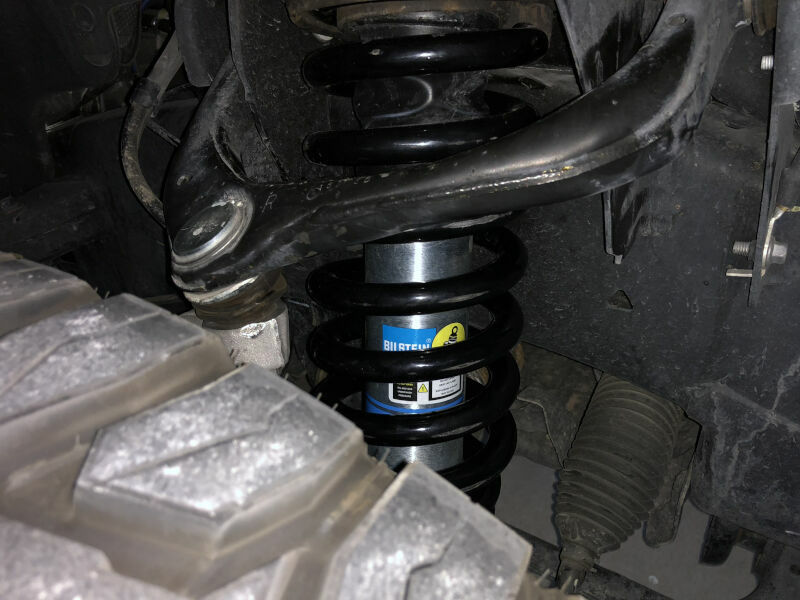 You likely wouldn't see too much settling, due to how the ride height preload works, but if you're concerned about maximizing ride height, then a 3" capable coilover like the Halo Lifts Boss coilovers would likely be a better choice. Will these ride better or worst on road the the 2.0 fox kit? Unfortunately, we have not tested out this particular kit ourselves yet. We'll hopefully have customer reviews and our own testing here in the near future. Was this answer helpful? 0 of 4 Found Helpful. 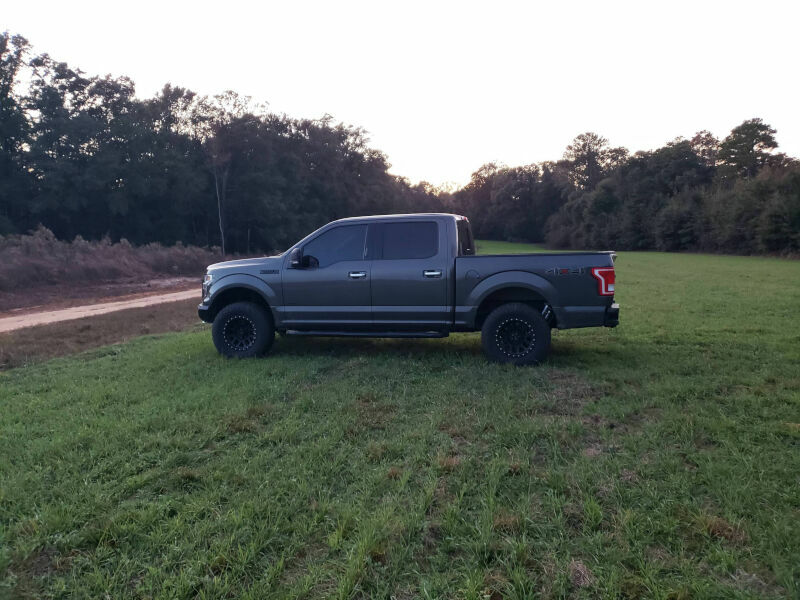 I have a 2015 F150 2wd. Will the 6112 fit on my truck? This kit will technically fit on your truck. 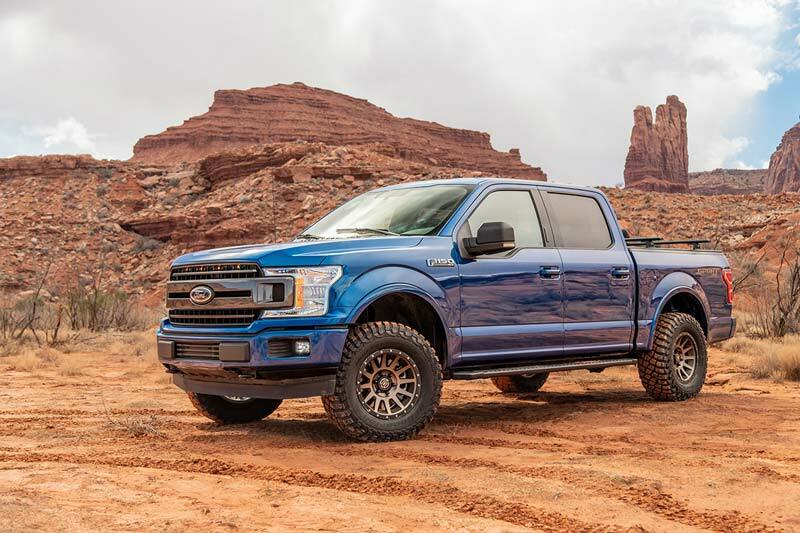 However, you will get slightly more ride height than what they're rated for on a 4WD truck and we can't guarantee what kind of ride quality that you're going to get. This should fit the 2014 since it has the same lower mounting style as the 2015, correct? 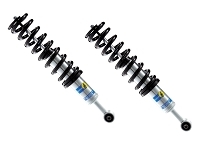 These strut assemblies will technically bolt up to a 2014 F150. 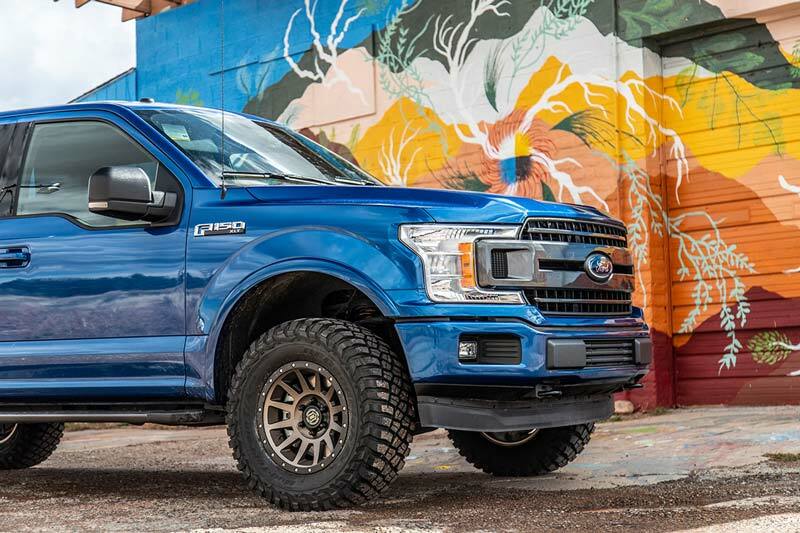 However, they are specifically valved and tuned for lighter 2015-2018 F150s, so we can't guarantee what kind of ride quality or ride height that you'd get out of them. 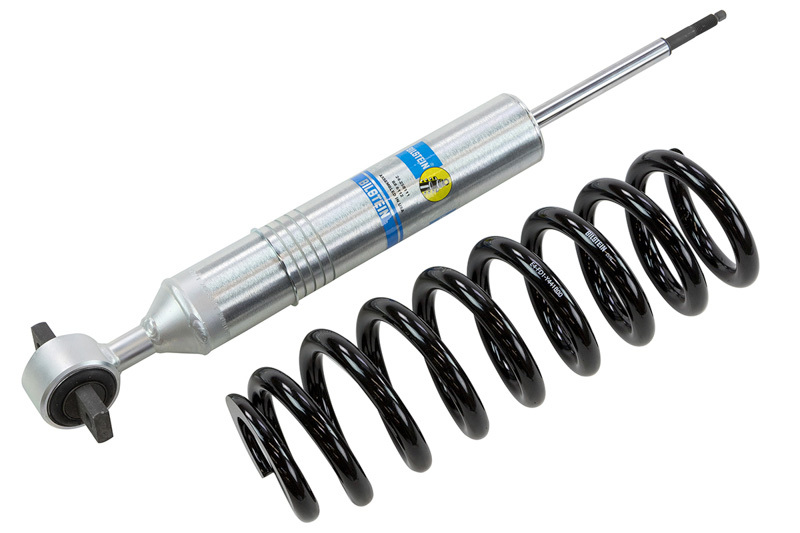 Unfortunately, Bilstein does not currently have a B8 6112 kit specifically designed for the 2014 F150s as of yet. Which existing installation video would most likely relate to this product? 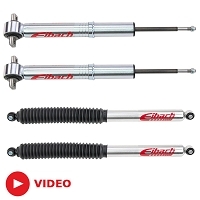 The closest would probably be our Bilstein 5100 Install Video, since it goes into both coilover removal and compressing the stock spring to transfer over the factory hardware. Bilsteinus.com doesn't show these as an available product when selecting a 2.7 but does for 3.5 and 5.0. You've got them listed as a product for 2.7. Thoughts on using these on a 2.7? 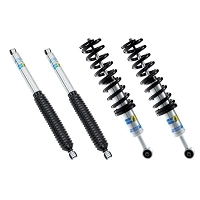 Trying to decide between 6112/5160 combo over Fox 2.0 and would very much like to lean toward 6112 because I've used Bilstein products for years and trust them. 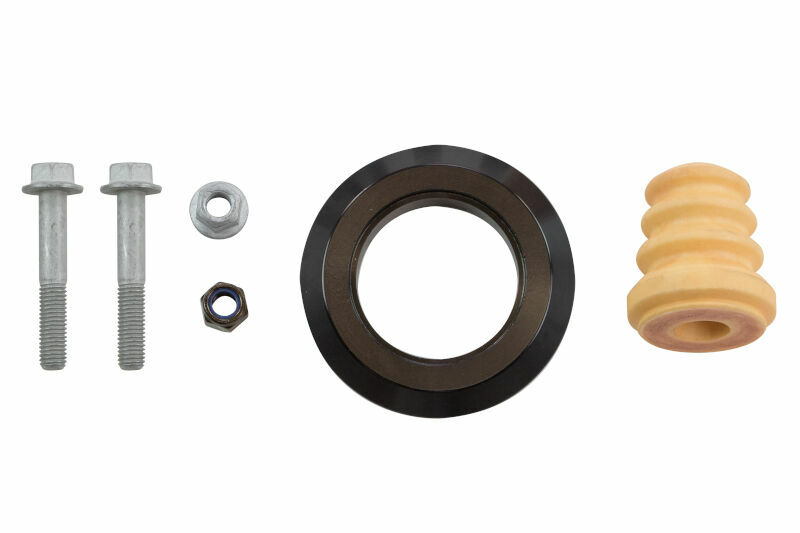 This kit will fit a 2.7L EcoBoost F150. There's no difference in the suspension between engine types. Can I request to have these fully assembled for an additional charge? 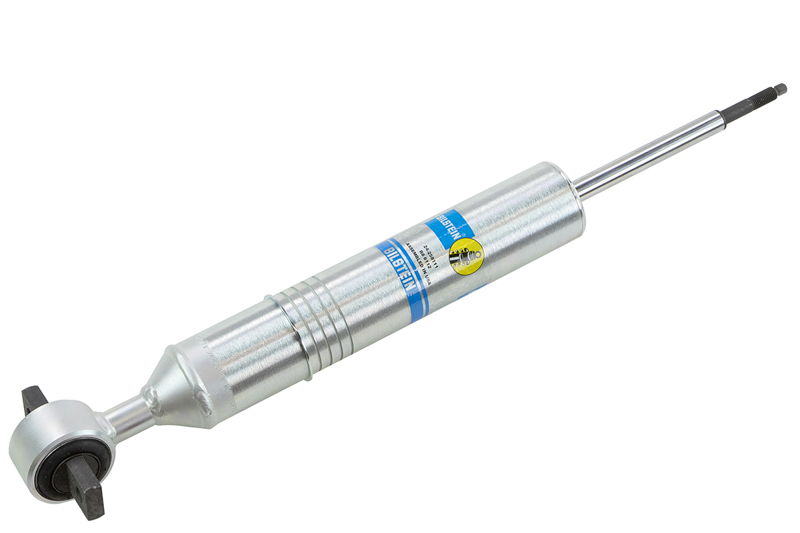 Unfortunately, neither us nor Bilstein are able to offer that as an option at this time.